The Amber Flag Initiative is a programme that was set up by Suicide Aware to encourage schools to promote positive mental health among their staff and students. It is also about awareness of the many issues that people face today and how to deal with these issues. Here at Coláiste Nano Nagle we want to create a positive atmosphere and promote positive mental health in our school. Throughout the year we will run events and promote positive mental health around the school. The Amber Flag Committee is run by the ten students in the JRC and TRC student council. Design a page for the School Journal informing students on where to get help within the school. On the 23rd January this year, students were encouraged to take care of their mental health during the school’s first positive mental health day. Fun activities were enjoyed by all. Understand the 5-a-day for mental health. Recognise who their one good adult is. Learn some techniques to help them relax. Know how to stay safe on the internet. Get to know the people from the agencies so that they feel more comfortable going to them if needs be. 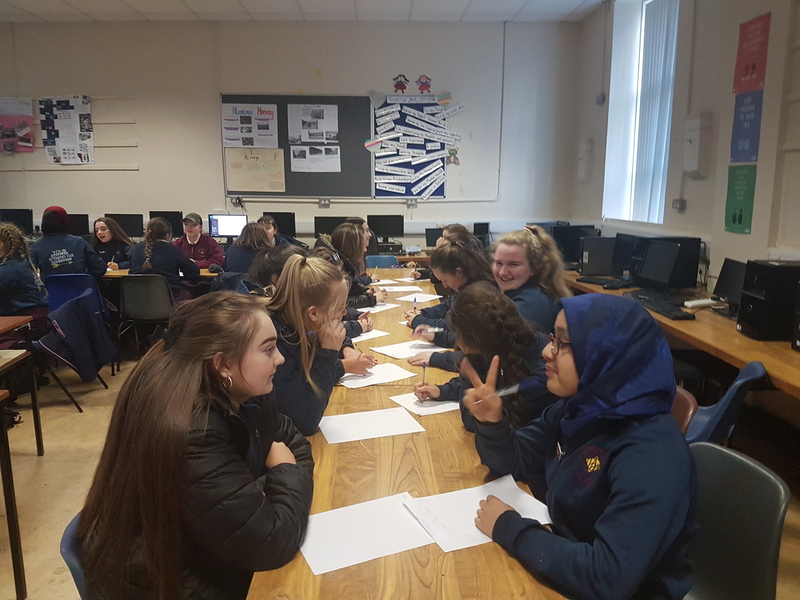 All students from First to Transition Year took part in a programme called Children of a Digital Age which consisted of the most up to date and relevant information on Internet Safety, in a multi – media power point presentation with plenty of interactivity during the presentations. This presentation was also made to all parents of our school that evening. 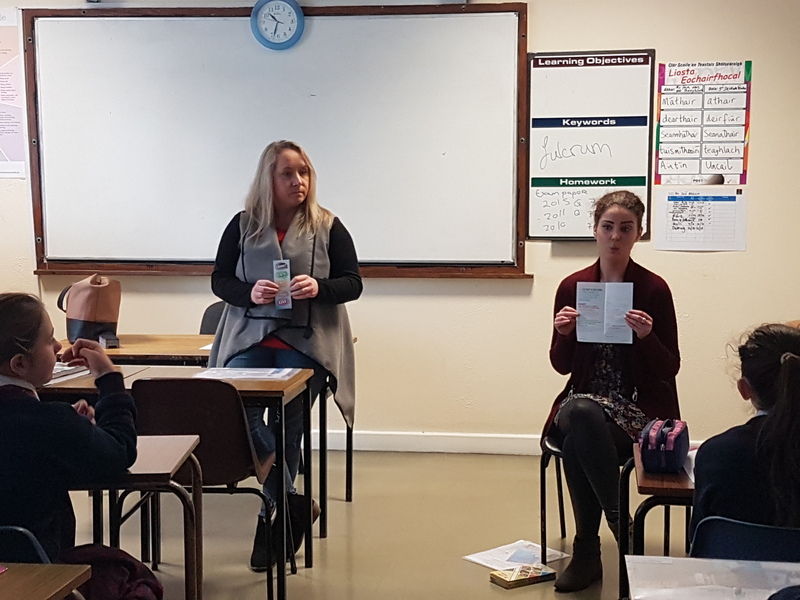 First and second year students had guest speakers from the Be Well team in Limerick Youth Service who explain the importance of using the 5-a-day for positive mental health. Childline came in to talk to students in first year about the importance of talking to someone before your problems get out of control. Jigsaw, which is new to Limerick, came in to talk to Fifth and Sixth year students also explaining the importance of seeking help. 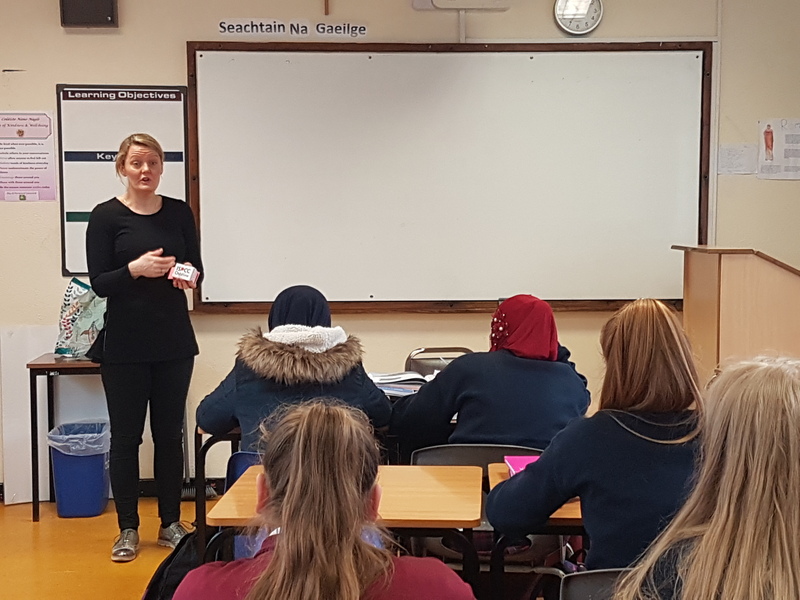 Sancha Power from the HSE met our Transition Year group to play bingo on the topic of drugs and alcohol so as to emphasise the dangers they can have on your mental health. Students will each be given a pack at the beginning of first class by the JRC members. This contained activities for the students for the day which were facilitated by the teachers in their classes. These activities were based on the 5-a-day for positive mental health. It also contained a bracelet made by the parents knitting and crochet class to show that we were all aware of positive mental health. For the last two periods of the day, first and second year students are involved in an activity. First years went to go to the sports hall with their PE teacher and Limerick Sports partnership. 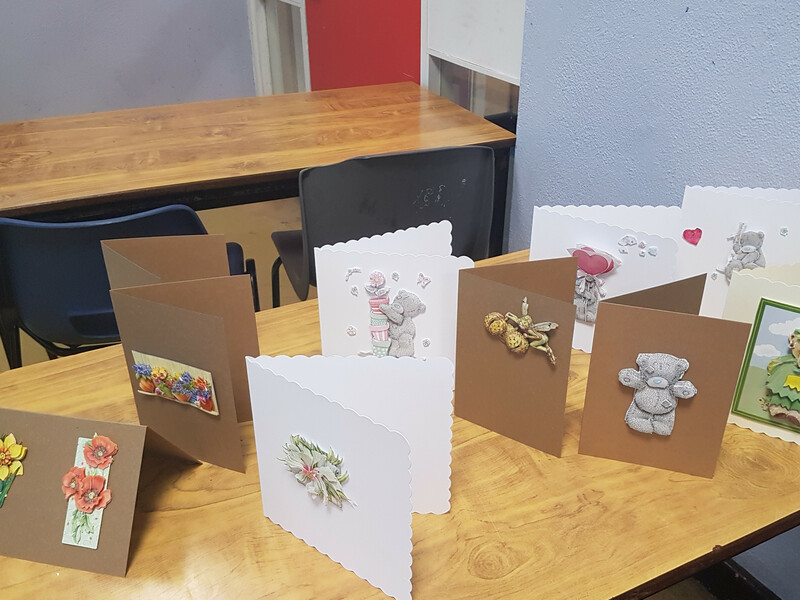 Second years went to learn a new craft by either Jonna from Rosbrien SCP, who took students for decoupage; Lorraine and Caoimhe from Southill SCP, who took students for jewellery making or Stephanie White, one of our parents who took students to make key rings from plastic canvass. There are three activities that the parents got involved in, including a walk organised by Limerick sports partnership and a beauty class, both of which were during the day and the Children of a Digital Age for the parents in the evening. 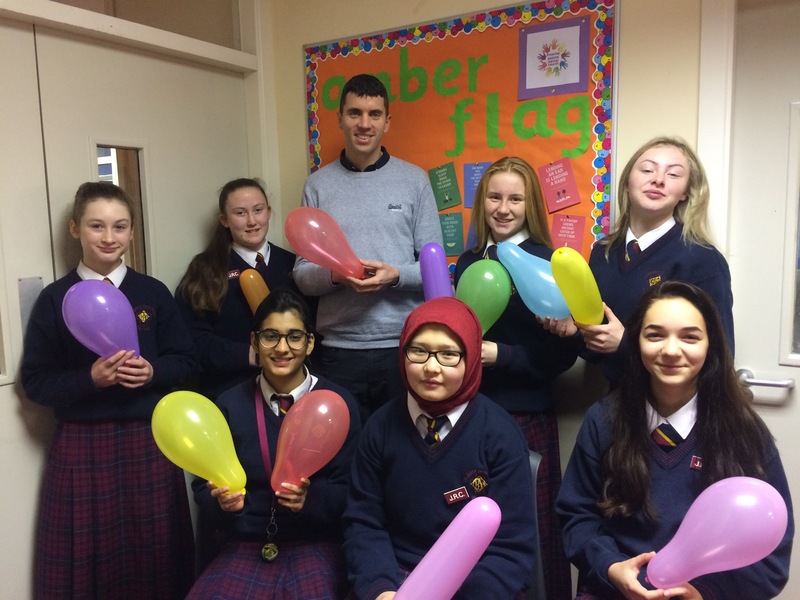 On Wednesday 14th March, the Amber Flag committee hosted a cake sale in aid of Pieta House. 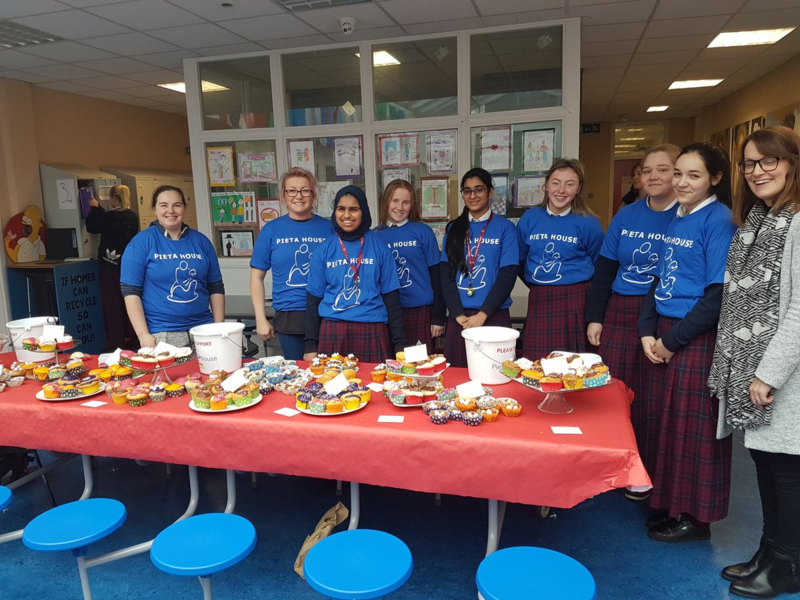 The aim of this event was not only to raise money for this very worthy organisation but also to raise awareness among the school community about what Pieta House does. Parents from the cookery class were very generous and made what seemed to be an endless supply of cakes, all of which were sold and the event raised €177.60 which was sent to Pieta House. Thank you to all involved.